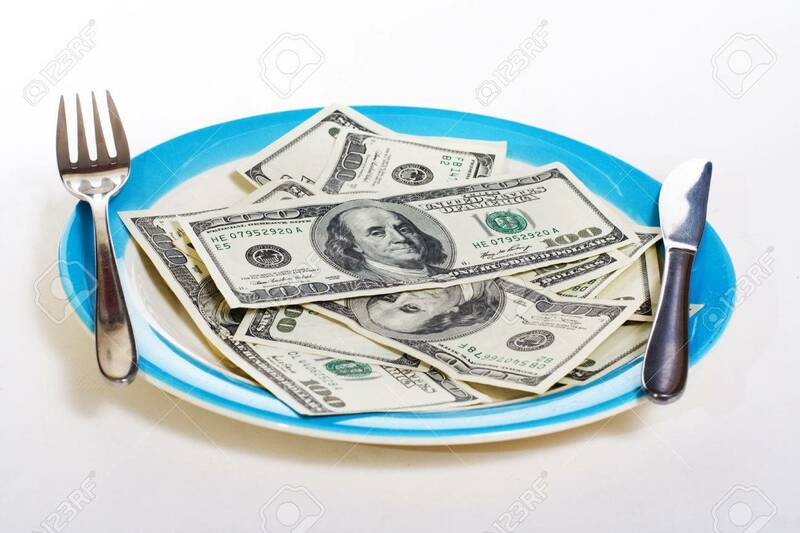 Money On Plate With Fork, Knife And Spoon. Economy And Business.. Stock Photo, Picture And Royalty Free Image. Image 4420717.